Hi, my name Steven with DYMO Industrial, and today I'm going to show you how to print in the maximum character size using the Rhino 5200. When the Rhino 5200 is set to auto size, extra large is the maximum font size as you can see indicated here. To print larger, press the size key until you get to the B, which stands for "Big." Now you can see big is indicated. This will change all of the text in your edit buffer to the maximum character size. Here is an example of B and then extra large. Check out the video for a tutorial on how to change text size when using the DYMO: Rhino 5200 label maker. 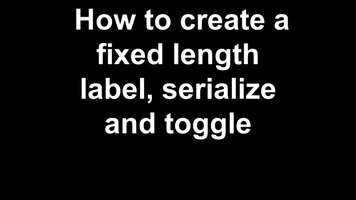 Check out the video for a tutorial on how to create a fixed length label, serialize, and toggle between labels on the DYMO: Rhino 5200 label maker. 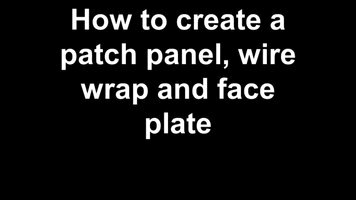 Check out the video for a tutorial on how to create a patch panel label, wire wraps and face plate labels using the Rhino 5200. 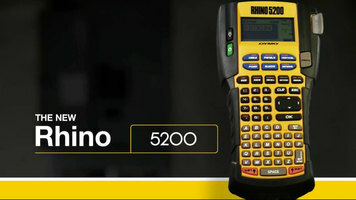 The new DYMO: Rhino 5200 is packed with features to meet your industrial labeling needs. For more information, check out the video.